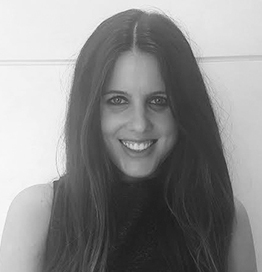 Maddison Glendinning is the Managing Editor of Buro 24/7Middle East. Originally from Australia, Maddison has over four years’ experience in the Middle East spanning luxury fashion, beauty and lifestyle. Maddison’s previous roles include Digital & Features Editor at Harper’s Bazaar Arabia and Lifestyle/Sub Editor at Grazia Middle East. During her career, Maddison has interviewed a wide range of tastemakers including Roland Mouret, Isabel Marant, Peter Phillips, Zainab Salbi and Bella Hadid. Maddison has also written for numerous publications and platforms including Cosmopolitan Middle East, Emirates Woman and The Modist. In her role at Buro 24/7Middle East, Maddison is passionate about cultivating a regionally-focused platform that supports and inspires local talent across fashion, art, design, music, technology and beyond.